There may be nothing quite as challenging in the crime fiction world as crafting a good Sherlock Holmes pastiche. 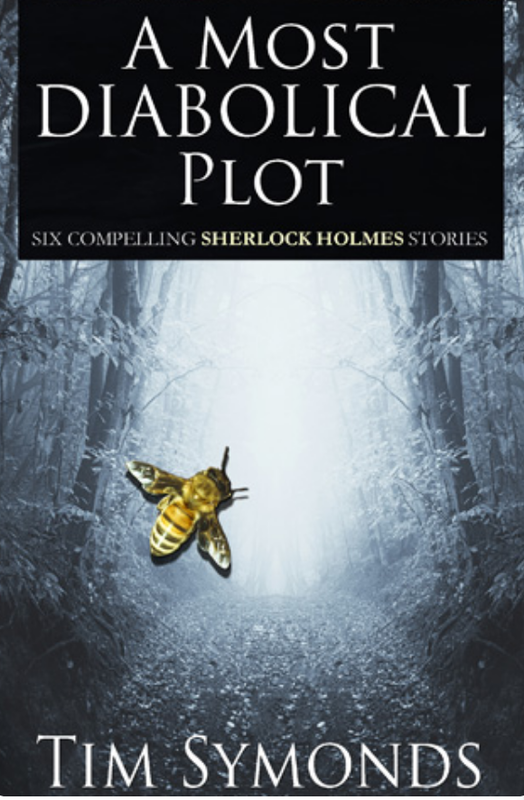 You need the tone exactly right, the historic details, the color of the time -- and most importantly, a twist of a crime puzzle that Holmes will find of interest and Watson will feel compelled to record. Tim Symonds, an Englishman who's also traveled widely, is no amateur at this task. A MOST DIABOLICAL PLOT is his sixth effort in the field, if I've counted correctly (see his website here). His route into the challenge is to enhance the character of Dr John Watson, opening some of the doors that Sir Arthur Conan Doyle left closed. Thus, he creates a new vantage point, one that's effective in distracting the viewer from any small slips of tone or language. I left the Park and hailed a brougham. "Cabbie," I shouted, "Apsley House, if you please, at the double!" A moment later I called out, "First, take me to 221, Baker Street." I would change into my old Medical officer's uniform brought back from Afghanistan, replete with indelible stains of blood from the fatal battle of Maiwand. On previous occasions my army uniform proved a useful entrée when brother officers were around. There was no sign of Holmes. I dropped the Police Gazette on his chair, changed clothes, and returned to the waiting cabbie. Although of course it is Holmes who adds the perceptions that unravel the final knot, it's a pleasure to see Watson so diligent in his efforts. A must-have collection for anyone who enjoys the strenuous effort of latter-day Holmes fiction -- and a delightfully relaxing read, as well. Cordial thanks to the author for sending a copy of the book from "abroad," and a tip of the hat to Manchester, New Hampshire (USA), resident Brian Belanger for the cover design. 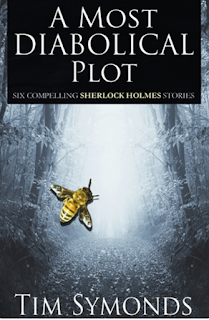 The publisher is Holmes expert MX Publishing of London.